Save time and stress by investing in a hassle-free private Naples to Positano transfer. 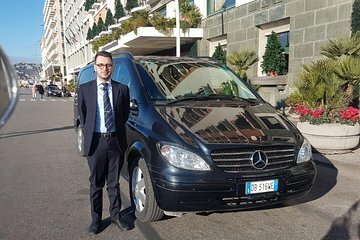 Travel in both comfort and style in your air-conditioned Mercedes sedan or minivan, before enjoying a convenient pre-arranged stop in Pompeii. There, you’ll be met by an archaeological guide for a comprehensive walking tour of Pompeii, covering sights such as the Forum and Lupanar (brothel).